LEDs are tiny light bulbs that fit easily into an electrical circuit. 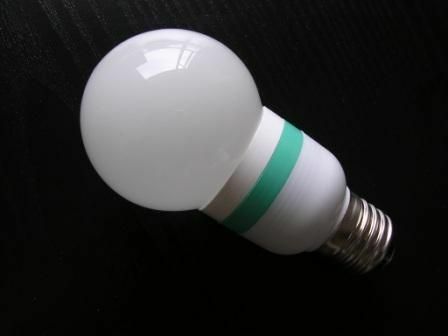 Unlike ordinary incandescent bulbs, they don't have a filament that will burn out, and they don't get especially hot. They are illuminated solely by the movement of electrons in a semiconductor material. LEDs are capable of emitting light of an intended color without the use of color filters that traditional lighting methods require. LEDs are insensitive to vibration and shocks, unlike incandescent and discharge sources. They are built inside solid cases that protect them, making them hard to break and extremely durable. They have low power consumption (about 1/30th of a standard bulb) and have an extremely long life span: typically ten years. Choose the light bulb of the future with this LED light.